Hair loss is caused by different factors and normally happens among individuals with a poor diet lacking minerals and vitamins needed for a strong hair. Other factors include the use of certain drugs or medication and the burden of genetic predisposition. These causes are also the same factors to consider on how to prevent hair loss naturally. It is also necessary to mention that the use of helmets and caps may affect the pace of falling hair. Anyway, do not get bogged down by avoiding hair loss, remember that up to a third of the population experience hair loss, with almost 70% men who are affected by hair loss problems. It is absolutely essential to understand what is hair loss, how hair tends to disappear naturally, what causes hair loss, and other related information before worrying about prevention. Who knows if you are already doing what is needed to successfully avoid hair loss. Read on to learn more. An adult continuously loses a daily average of between 100 to 200 hairs almost constantly. It is not generally affecting an individual because the hair strands are replaced and the process is repeated over and over again. Each hair has a different rhythm than others so while some are about to fall to make way for new ones, the rest of the hair is healthy and strong. So we seem to be losing hair at times when it is not. Keep this in mind if you think about hair loss, it is quite normal for hair to fall. But when hair loss is too many than normal, then it is when you are suffering from alopecia or baldness as it is popularly known. Although hair loss can not be completely avoided, you can still slow it down so you do not get caught too young. The reasons behind alopecia related hair loss are quite varied. For example, skin diseases or genetic predisposition factors causing hair loss is much more pronounced in some people than in others like leading a stressful life or poor nutrition. Also, the care they receive influences hair fall and hair products that tend to damage hair may also cause premature hair loss for example. Maybe you've heard more than once that we must dry hair very gently after showering to avoid hair loss and to not aggravate the situation. Some even advice the use of egg shells to make hair strong. And there are hundreds more of urban legends when it comes to healthy hair. Let's clear up misconceptions about hair loss by discussing about the facts and fallacies. Washing hair with shampoo way too often worsens baldness. That's not true. Baldness begins at the level of the hair root so it won't be caused by no matter how much shampoo you use. Washing your hair daily with shampoo has no effect on alopecia for a very simple reason, the shampoo does not act on the hair root so it cannot affect it. Excess stress is the worst enemy your hair can have. Well, maybe not the worst but it does affect hair loss. When we live in constant situations with anxiety and stress, our body's general defenses are diminished and it releases hormones into the bloodstream that weaken the hair. You will not lose all the hair for a few days of stress, but when extended in time, it may indeed cause hair loss. While the whole world is concerned when seeing hair fall on pillows, this is part of the process of natural regeneration so there's nothing to worry about. Losing some hair is normal and should not be alarming unless there is excessive hair fall. Horse shampoo prevents hair loss. There is no evidence to backup this claim. It's the same point we mentioned about washing hair with shampoo very often. As we have said, shampoo will only affect the surface and not the roots. You can strengthen existing hair but can never do much to prevent hair loss or stop it from falling in any way. I know it would be nice to know how to prevent hair loss with a simple shampoo, but if there was a solution like it, would it not have solved hair loss long a long time ago? A balanced diet helps to prevent hair loss. This is true. A diet rich in vegetables, fruits, meat and fish as well as food rich in vitamins especially the B-complex group, vitamin A, protein and minerals will help hair become stronger and healthier. On the other hand, there is also the current medical opinion that the best diet is one that has a 45-47% of carbohydrates, approximately 35-37% of fats or lipids and the remaining percentage (18% on average) should be protein. This is always in general as it also depends on the current health of each person. 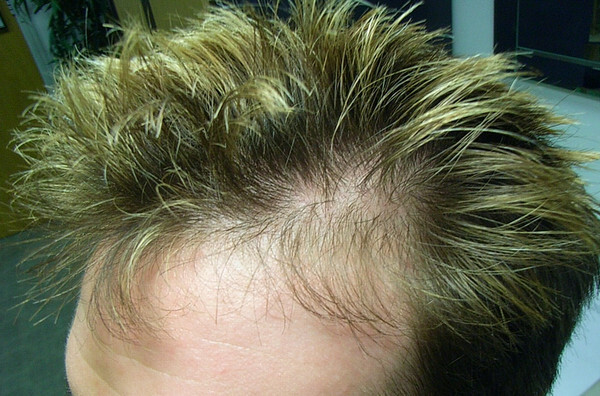 The use of hair gels, hair dyes, and other hair products make hair loss worse. This is not true. These products can alter the aesthetic appearance of hair and make it more damaged or abused superficially but they don't act on the hair root. Cosmetic products can only cause further damage to already damaged hair. Abuse of certain foods can end up damaging the hair. Oh, it turns out that this is a YES. Too much of anything is never a good thing such as sugar for example (well, this causes other health problems anyway such as diabetes). The reason is that too much sugar minimizes vitamins which can in turn lead to vitamin B deficiency. This substantially impairs the elasticity of the hair because it prevents adequate absorption of proteins to reach the hair root. Too much salt or fatty foods such as cheese fries or sausages are also not good. The reason is that they can raise the level of uric acid in the blood and this is not advisable either for our hair or overall health. There is no effective treatment for alopecia except surgery. This is false. Depending on the type of baldness you are suffering from (genetic origin, nutrition, disease, etc. ), there is a possibility that a specific treatment can be prescribed. For example there is a tonic called Lacovin (more commonly known for its main ingredient minoxidil) which provides positive results for baldness since it helps improve circulation around the hair follicle, strengthening their power and improving the reception of oxygen which slow down hair loss. Brushing the hair carefully and avoiding certain hairstyles do NOT affect hair loss. We must take into consideration that the hair root is half centimeter deep under. Plucked hairs easily get replaced and will soon fall naturally anyway. This advice serves to protect and retain the hair we still have but under no circumstances will allow us to prevent baldness even with careful brushing and avoiding certain hair styles. 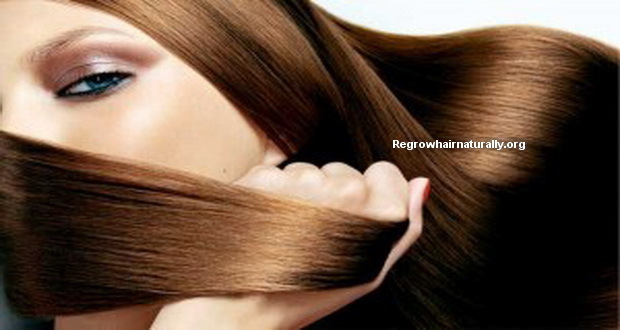 Guest post by Sabirin Syarif from regrowhairnaturally.org. All images are from the same site.